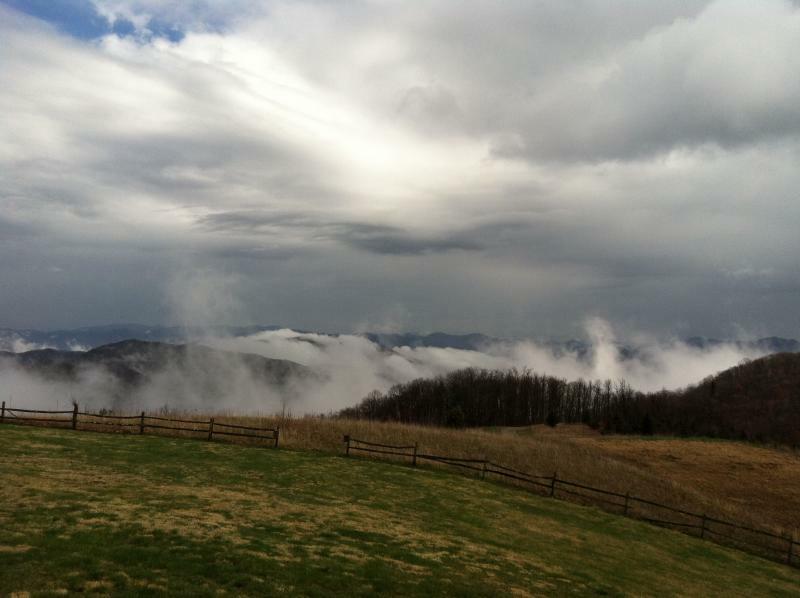 Ground-based observations of the vertical structure and horizontal variability of orographic precipitation in the Great Smoky Mountains exhibit strong spatial gradients and large variability at the diurnal, monthly, seasonal and inter-annual time-scales. Isolated thunderstorms generate up to 15% of the warm season rainfall (June-July-August-September), and as much as 30% of annual rainfall in less than 24 hours in the case of tropical cyclones. The serial propagation of shallow convective systems ahead of westerly fronts can produce up to 50% of all warm season rainfall in a matter of days such as during the SE floods of September 2009. Nevertheless, with exception of late afternoon and nighttime convective activity in the summertime, light rainfall dominates at all times of the day and increases from east to west. Indeed, the contribution and frequency of light rainfall (intensity lower than 3 mm/hr) is on the order 60% to 70% in the winter and 30 to 50% in the summertime, which corresponds to about 50-60% of total annual precipitation, and up to 80% during drought (e.g. 2007-2008). Light rainfall plays therefore a governing role in the regional water cycle with critical implications for water resources and ecosystem services in the Southern Appalachians. More broadly, recent evidence suggests this is also the case elsewhere, especially where low level cloud systems interact with orographically forced clouds and fog such as the foothills of the Himalayas and the cloud forests and inner ridge-valley regions of the American Cordillera. Evaluation of the TRMM PR (TMPA V6) products in the Great Smoky Mountains showed that nearly 90% of missed events correspond to low rainfall rates (< 10 mm/hr). For detected events, the error estimates range from 25 to100%, with larger errors (> 50%) for heavy rainfall. The overarching science goal of the proposed category 2 research is to improve our understanding of orographic precipitation regimes and their relationship to hydrologic extremes leading to measurable advances in satellite remote-sensing of precipitation in mountainous regions. The specific research objectives are as follows: 1) to characterize the dynamics of light rainfall and shallow convection processes in the Southern Appalachians toward improving the representation of warm season orographic precipitation microphysics in models and satellite-based rainfall estimates; 2) to elucidate the relationship between orographic precipitation regimes, including snowfall, and the spatial and temporal variability of surface precipitation toward improving QPE (Quantitative Precipitation Estimation) and QPF (Quantitative Precipitation Forecasting), and ultimately the predictability of floods and associated biogeophysical hazards in mountain catchments; 3) to develop parameterizations of the thermodynamic and radiative effects of orographic low level clouds and fog on surface energy fluxes toward improving the predictive skill of hydrologic models at diurnal and seasonal scales in regions of complex topography; and 4) ground-validation and downscaling of satellite precipitation products in the Southern Appalachians through development of science-grade observations and ancillary data sets at high spatial and temporal resolution. The research approach includes maintaining a science-grade orographic precipitation observing system in the Southern Appalachians, developing precipitation downscaling models conditional on orographic precipitation regimes, and process studies through data analysis and the integration of atmospheric and hydrologic models and ground-based observations and satellite products. The study is centered in the Southern Appalachians, but the research findings are relevant for mid-latitude mountains generally, and intermediate elevations (< 4,000 m) of tropical and subtropical mountain ranges. All data and models are available to the PMM community.